Felices Bella Roma01924 371059work Restaurant - ItalianBella Roma Restaurant has been established since 1975 as the longest running Italian restaurant in the Wakefield area. Bella Roma uses only the finest produce with a strong influence on Italian food. Colin & Joyce Chew have owned the restaurant since 1986 when the business was located on the other side of Northgate next door to the Wakefield Carpet Specialists where they only had 9 tables. Now we are a large restaurant that can cater for most occasions, birthdays, weddings, christenings & anniversaries. The very loyal staff includes the son, Chris as the manager who has trained at the 5 star De Vere Oulton Hall Hotel. The 4 senior chefs Andy Agar, Darren Marston, Andrea Mudd & Sean Lloyd have been with us for a total of 66 years. 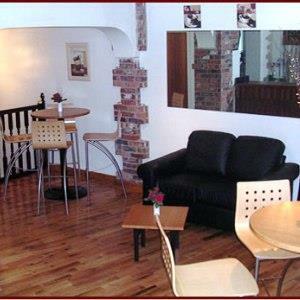 Bella Roma Restaurant has been established since 1975 as the longest running Italian restaurant in the Wakefield area. Make sure you come and dine with Bella Roma and enjoy the full Italian experience. Limited on-street parking is available on Northgate or pay-and-display car park available opposite.